ROSEVILLE, Calif., June 18, 2014 -- Intel-GE Care Innovations™ today announced a partnership with Illinois-based OSF HealthCare to use Jump Trading Simulation & Education Center (Jump) to generate new insights and evidence-based care plans obtained by the connection of patient data from the home with data collected in clinical settings. Initially, the research will focus on at-risk populations that have an opportunity for improvement through better patient management in the home environment. Care Innovations™ will work with Jump’s innovation center to define and study different approaches that leverage data from the home to improve outcomes and cost effectiveness in caring for specific populations. Care Innovations collects frequent and diverse information from a wide array of sensors and data sources on consumers outside of the clinical setting. 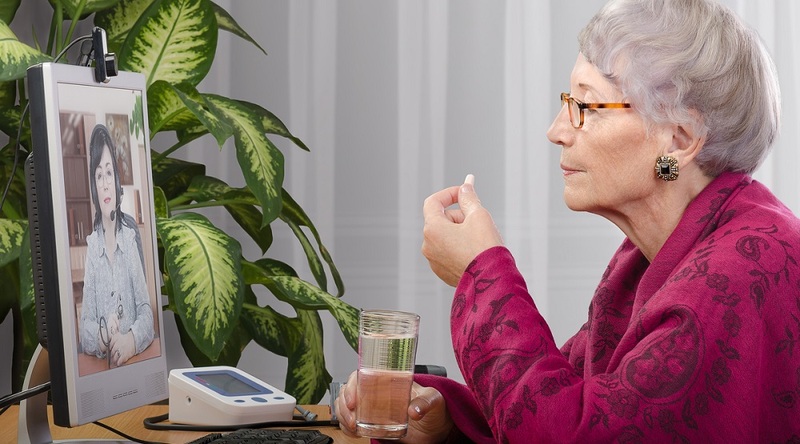 The collaboration with OSF will focus on integrating activities of daily living (ADLs) data, such as how often someone gets out of bed in the middle of the night or if someone regularly takes his/her medications, with biometric, clinical data, such as weight, blood pressure, and blood sugar levels, and outcomes data from electronic medical records (EMRs). 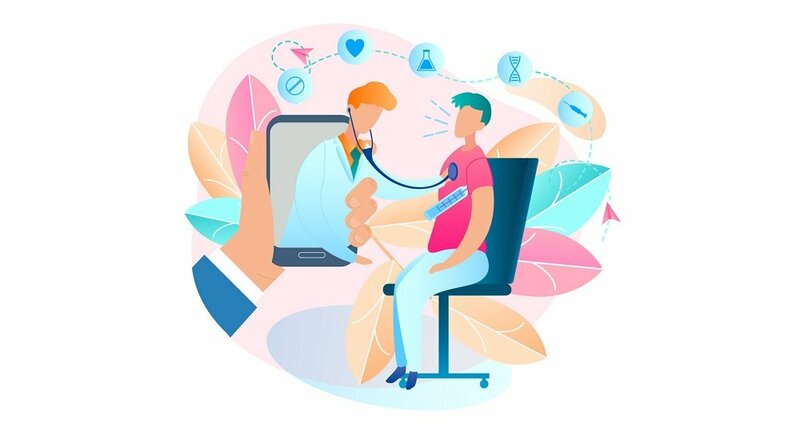 Care Innovations and OSF intend to bring together these disconnected sources to provide patients, family caregivers, and clinicians a more complete and accurate picture of a patient’s health and daily life, as well as effective intervention and care plans. As part of this program Care Innovations will leverage advanced technology solutions to collect, aggregate, and analyze the data. "Today, most clinicians have a limited or inaccurate view of the daily lives of their patients, which inhibits the advancement of effective, cost-efficient care. 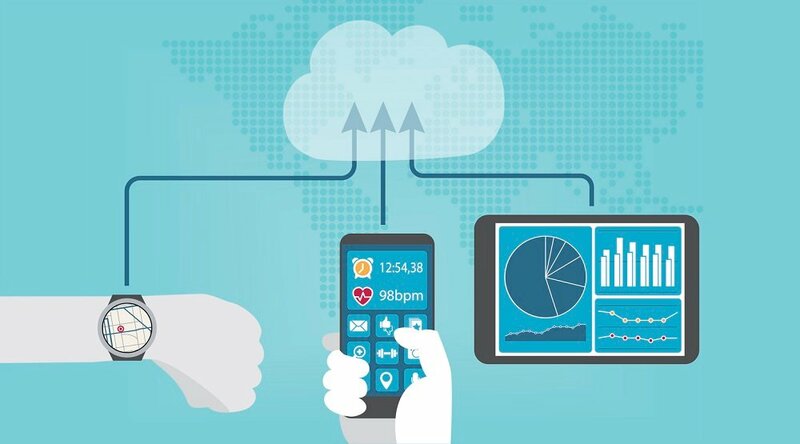 Seamless integration of data from the home with research and everyday medical care will help clinicians and other healthcare providers design and implement population health programs that work," said Sean Slovenski, chief executive officer at Intel-GE Care Innovations. "OSF is a long-standing, yet truly forward-looking healthcare ministry that keeps its patients' best interest at the forefront of all activities. We’re excited to work with OSF and Jump to pave the way for new standards of care in managing at-risk populations." OSF is committed to transforming healthcare via the education, research, and innovation initiated at Jump. A collaboration with the University of Illinois College of Medicine at Peoria, Jump is a virtual care delivery setting that replicates all areas of patient and family care. The innovation center at Jump will test and manage the data integration applications in the partnership with Care Innovations. 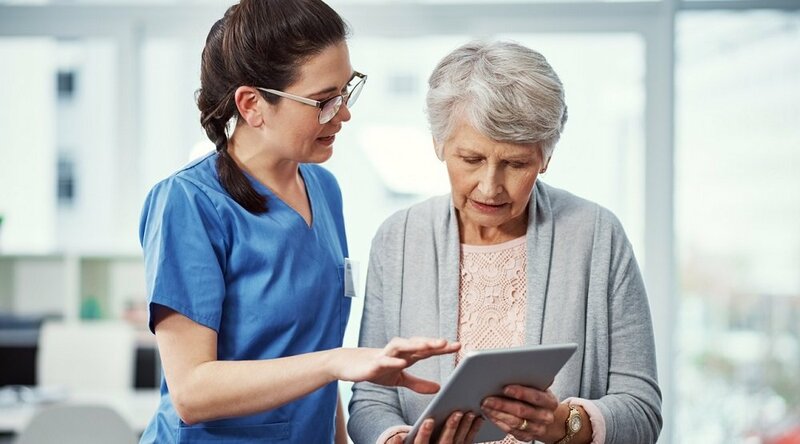 "The talent at Care Innovations has demonstrated their expertise collecting data from the home and effectively engaging patients to enhance patient care," said Dr. John Vozenilek, Chief Medical Officer at Jump. "OSF Healthcare Ministry is rooted in providing care to those who need it most. This endeavor is an important innovation we’re exploring to improve the care we provide our patients and expand our reach to larger populations. We look forward to testing new approaches to extend clinical care into the home and to bring more of what's happening at home into the clinician’s view." Research studies will employ a variety of advanced technologies, including Intel-GE Care Innovations™ QuietCare®, a smart sensor system used to monitor and learn the activities of daily living of the patient being monitored to alert a professional caregiver if any activities are out of the ordinary. Studies will also use the advanced technologies from partnerships forged by Care Innovations, such as Lively and RespondWell. Lively develops activity sensors placed on pillboxes, refrigerators, house keys, and other movable objects to log patients' daily routine in the home. Care Innovations and Jump will aggregate the data collected from Lively sensors to help determine if patients are adhering to the care plans as outlined by their care teams at OSF. If a patient is not adhering to the care plan, an OSF clinician will be alerted so the clinician can contact the patient to conduct an educational health session through Care Innovations' remote care management platform, using that moment as a learning opportunity to positively influence the patient to adhere to the care plan. "The global demographic 'tsunami' is driving enormous need for home care that cannot be fulfilled with human beings alone," said Iggy Fanlo, co-founder and CEO at Lively. "Partnering with Care Innovations to collect this data from the home will provide OSF clinicians a more complete view into patient behaviors that otherwise may go unnoticed in a traditional care setting. And the introduction of an inexpensive, consumer-centric and simple to use technology to do it is a key requirement. We’re very excited about working with Care Innovations to deliver Lively where it's needed most." The RespondWell Platform is a software application that demonstrates and instructs patients in the correct method of performing a physical therapy exercise or skill prescribed by a clinician. Care Innovations and OSF will work with the RespondWell Platform to develop an overall program that addresses falls risk and prevention to enhance population management. The RespondWell platform is an important part of filling the information flow between the home and clinical settings to improve the management of the risk of falling for these populations. In addition, RespondWell's friendly and engaging patient experience encourages extended use so activity becomes more frequent. "Given that nearly a third of adults over 65 fall each year, being able to provide these patients and their clinicians with the tools to learn their likelihood of falling can translate to fewer falls related injuries," said John Grispon, CEO at RespondWell. "We think this partnership with Care Innovations will produce important insights and data into preventing falls, which are common but avoidable incidents that often lead to a downward spiral in terms of quality of life and medical costs." OSF HealthCare, an integrated health system owned and operated by The Sisters of the Third Order of St. Francis, Peoria, Illinois, includes OSF Healthcare System consisting of nine acute care facilities and two colleges of nursing. It also has a physician organization, OSF Medical Group. To align more closely our care delivery system with physicians we developed clinical service lines in cardiovascular services, neurosciences and pediatrics. We employ almost 700 physicians and nearly 300 mid-level providers operating in more than 90 office sites. OSF HealthCare operates an extensive network of home health services known as OSF Home Care Services and also owns OSF Saint Francis, Inc., comprised of health care-related businesses, and OSF Healthcare Foundation, the philanthropic arm for OSF Healthcare System and OSF Home Care Services. Jump Trading Simulation & Education Center is a collaboration of OSF HealthCare and the University of Illinois College of Medicine at Peoria. Located in Peoria, IL, the virtual medical training center combines actual medical equipment and the latest simulation technology for better education, performance training and research. Jump also is a training- and testing-ground for medical innovations and research. Jump's mission: to improve patient health outcomes and lower health care costs. Lively (www.mylively.com) empowers older adults to live independently longer with its smart home product comprised of passive, activity sensors that foster a greater sense of safety and connection between family members, and care teams. Lively was founded by Iggy Fanlo, David Glickman, and Keith Dutton in the summer of 2012 and is headquartered in San Francisco. With collective backgrounds that include working at some of the world’s most innovative consumer product companies, they've formed a vibrant team of talented individuals who share a passion for improving the lives of older adults worldwide. RespondWell is on a mission to improve adherence to many forms of physical therapy by encouraging patients with entertainment, challenges, and rewards. The RespondWell platform uses devices like the Microsoft Kinect for Windows sensor to track patient performance in the clinic or at home. Providers and health plans shifting to an outcomes-driven model leverage the platform benefits of patient monitoring, rehab performance tracking, and a set of data analytics and reporting tools that measure outcome success. For more information, visit http://www.respondwell.com.